Turn to Lee Electrical Service Inc. in Birmingham, AL for quality, reliable, and inclusive electrical services. Whether you need electrical repairs or lighting services, you can count on our professional electricians to be of service to you. We do it all from residential installations to commercial and industrial electrical system upgrades. Count on us to be there whenever you require our help. Rest assured that you are working with the best when you choose us. Lee Electric Service Inc. is dedicated to providing guaranteed results in excellent service. For over 20 years, our electrical service company has been thriving by finding ways to remain cost-effective while providing services that exceed client expectations. We are a loyal state contractor that you can trust throughout our life-long relationship. Our team’s commitment to excellence goes far beyond providing unparalleled quality of service. We promise to listen, learn from, and grow with your needs. Our company is an innovator in changing times, creating new relationships, and strengthening existing ones; this is what we offer you. We welcome the opportunity for you to let us work for you. 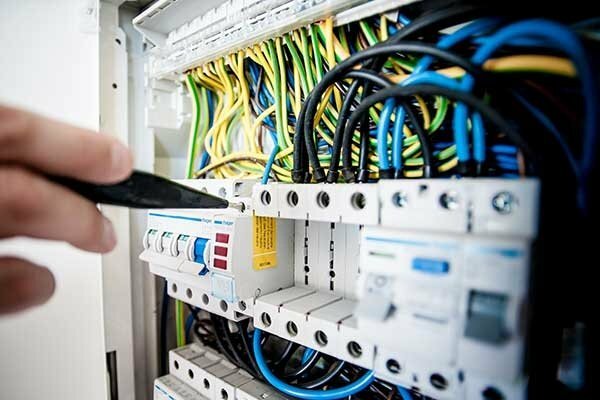 If you need electrical services at home or in your workplace, just give us a call. We have what it takes to deliver all of the services you need and finish on time. To schedule an appointment or inquire about what we do, get in touch with us using the provided contact details. We will get back to you as soon as we can. © Lee Electrical Service Inc.